Records to great critical acclaim. The album utilizes elements of jazz, funk, and electronica, flawlessly showcasing the expertise of Grooveatech’s many musicians. Composed of a staggering twenty-seven musical artists from various time-zones around the globe, Grooveatech Orchestra is the brain child of Aaron Wider, who also produces, composes, arranges and performs as vocalist on the record. Grooveatech’s artists come not only from a myriad of different locales around the world, but also from a surprisingly diverse array of musical backgrounds, including (but by no means limited to) groove, funk, pop, rock, and smooth jazz. The result is both a classic, warm tone familiar to music aficionadoes while maintaining a radically unique signature sound. The release of “One More Time” was not a simple matter. 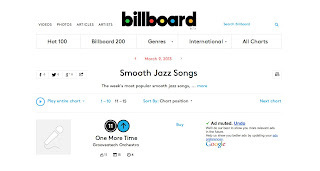 Many of Grooveatech’s musicians perform in their own bands or even multiple projects, the artists’ individual releases exceeding a monstrous two-hundred and seventy albums. Many go on tour throughout the year. Most have families and professional jobs on the side. Still, the end products of this gigantic and remarkable collaboration never sound rushed, slipshod, or amateur. Even with so little time afforded its members, Grooveatech has managed to record audio and video in multiple locations. The video for the single “One More Time” required sixteen video shoots worldwide with fourteen participating musicians. Though the monumental undertaking took eight months to complete, the video for “One More Time” has gone viral, and is now being played during coming attractions clips at New York, New Jersey and Connecticut movie theatres. One More Time -Grooveatech Orchestra from dupespec on Vimeo. 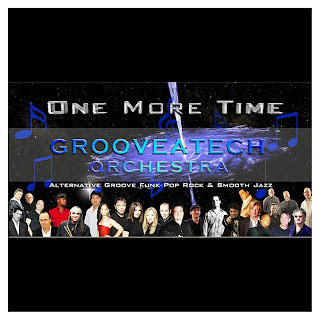 After more than ten years in development, Grooveatech Orchestra's flagship full-length album, "One More Time," has been released on Grooveatech Records to great critical acclaim. The album utilizes elements of jazz, funk, and electronica, flawlessly showcasing the expertise of Grooveatech's many musicians. 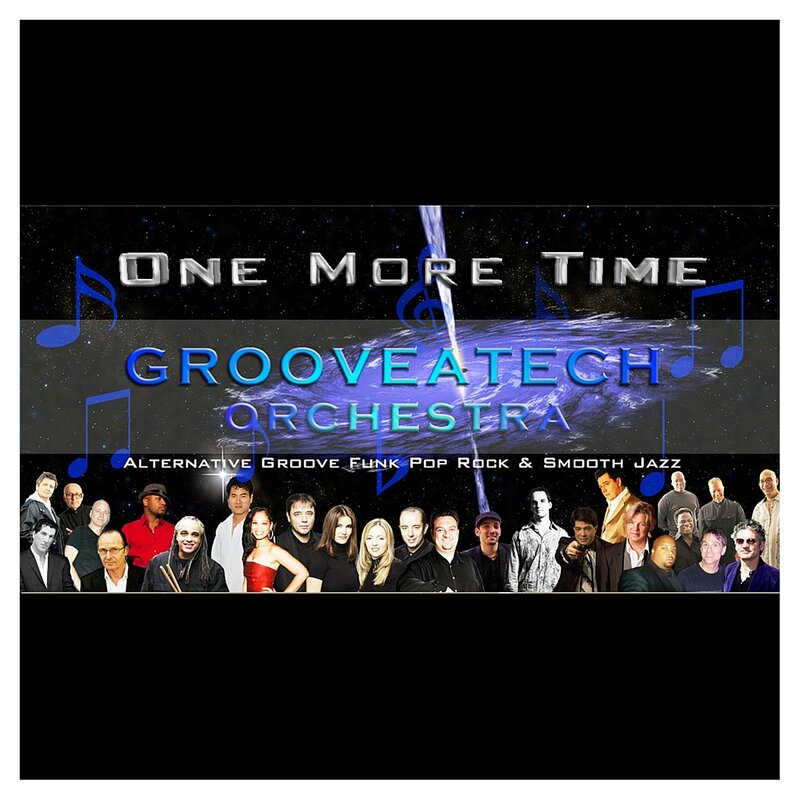 Composed of a staggering twenty-seven musical artists from various time-zones around the globe, Groovetech Orchestra is the brain child ofAaron Wider, who also produces, composes, arranges and performs as vocalist on the record. Grooveatech's artists come not only from a myriad of different locales around the world, but also from a surprisingly diverse array of musical backgrounds, including (but by no means limited to) groove, funk, pop, rock, and smooth jazz. The result is both a classic, warm tone familiar to music aficionadoes while maintaining a radically unique signature sound. 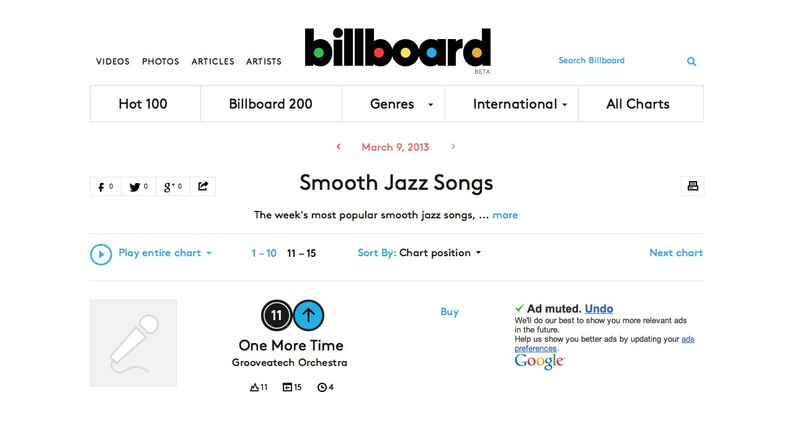 The release of "One More Time" was not a simple matter. Many of Grooveatech's musicians perform in their own bands or even multiple projects, the artists' individual releases exceeding a monstrous two-hundred and seventy albums. Many go on tour throughout the year. Most have families and professional jobs on the side. Still, the end products of this gigantic and remarkable collaboration never sound rushed, slipshod, or amateur. Even with so little time afforded its members, Grooveatech has managed to record audio and video in multiple locations. The video for the single "One More Time" required sixteen video shoots worldwide with fourteen participating musicians. Though the monumental undertaking took eight months to complete, the video for "One More Time" has gone viral, and is now being played during coming attractions clips at New York,New Jersey and Connecticut movie theatres.